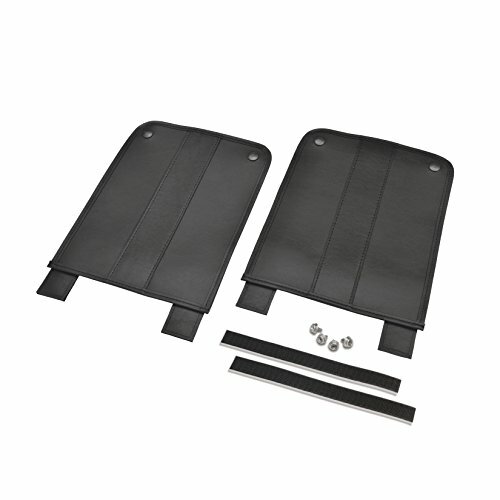 These Trike Rear Fender Bras are designed to absorb the scuffs, scrapes, and scratches that plague the front of most rear trike fenders. Designed with embedded steel straps to wrap around the bottom of the fenders and snaps or hook and loop hold the top. Measuring 11″x8 3/4″ these bras cover a great area of the fender. Bras have two different mounts options either the hook and loop or the snaps provided depending on your choice. Fits most trikes without flares Motor Trike, Lehman, Champion, Hannigan, Harley, etc.